I thought long and hard about this because I really wanted to do this post. I feel like I could be leaving some of my babies out, and I changed one last night, and I feel like one is out of order because my love for it has grown, however, I'm sure it could never be perfect! So with no further ado, #10-6 of my favorite nail polishes. #10: China Glaze - For Audrey. This was the late addition to the group. I used this in the mani I did last night and remembered how beautiful it is. Tiffany blue creme, nothing more to say than that! Applies in 2 easy coats. I think I will be wearing this a lot this spring. This is a medium-light purple creme. This color is an exact dupe for a Claires polish I wore all through junior high and probably even before that. Since then, the Claires one has been too thick and even polish thinner won't help it, so when I found Spontaneous I was delighted! 3 coats for perfect opacity. #8: Sally Hansen Xtreme Wear - Blue Me Away! This is the brightest blue I own. This is a simple bright blue creme, almost opaque in one coat! This is 2 just to be sure. I use this a lot in different ways, I might need to get a second bottle eventually. I have a lot of shades like this but most are shimmery, however I prefer it in creme. I got this for my birthday! I used to strictly wear black nail polish in high school, and this is a good color for those days when I want dark nails but not fully black. This is a really dark navy creme that in certain lights leans teal, and I think it looks really good on short nails especially. If you're really careful you can get away with 2 coats, but usually I need three. 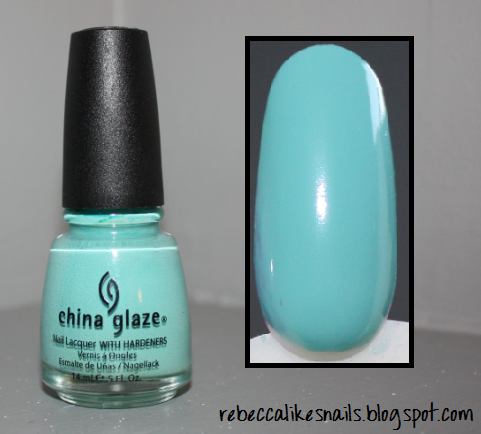 This color is a recent addition to my collection and has immediately gone into my top favorites. As I said just a few weeks ago, this is an amazing sheer light pink base filled with light pink glitter and larger holographic silver round glitter. I just stare at this when I wear it. This is the one I was talking about in the beginning when I said something is out of order. I think this should be closer to the top. Do we have any favorite in common yet? I like all of your choices, especially #10. it's really close one of favorites (at least right now). I'm really like ski teal we drop too!! I love the O.P.I. one =) I'm totally going to get it! Of these five, I own four! And yes, they're my favorites too! The only one I don't have is Ski Teal We Drop, but I guess I should really pick that one up. For Audrey is definitely on my top 10 list! 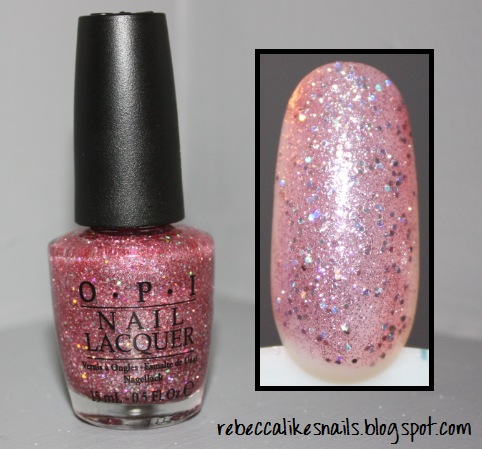 It's definitely the first one that came to mind when a friend asked about my favorite, many months (and polishes) ago.